Autism spectrum disorders (ASD) have numerous etiologies, including structural brain malformations such as agenesis of the corpus callosum (AgCC). We sought to directly measure the occurrence of autism traits in a cohort of individuals with AgCC and to investigate the neural underpinnings of this association. We screened a large AgCC cohort (n = 106) with the Autism Spectrum Quotient (AQ) and found that 45 % of children, 35 % of adolescents, and 18 % of adults exceeded the predetermined autism-screening cut-off. Interestingly, performance on the AQ’s imagination domain was inversely correlated with magnetoencephalography measures of resting-state functional connectivity in the right superior temporal gyrus. 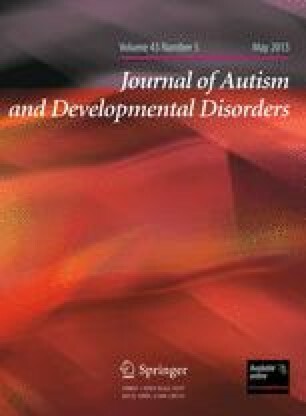 Individuals with AgCC should be screened for ASD and disorders of the corpus callosum should be considered in autism diagnostic evaluations as well. This work was supported in part by NIH grants R01 DC004855, DC006435, DC010145, NS067962, NS64060, and by NSF grant BCS-0926196 to S.S.N, NIH grant K23 MH083890 to E.J.M., K02 NS052192 to E.H.S., KL2 RR024130 to E.J.M, E.H.S. ), the Sandler Program for Breakthrough Biomedical Research (E.H.S. ), the Simons Foundation (L.K.P), NARSAD (L.K.P.) and the Dystonia Medical Research Foundation (L.B.N.H.). This project was supported by NIH/NCRR UCSF-CTSI Grant Number UL1 RR024131. Its contents are solely the responsibility of the authors and do not necessarily represent the official views of the NIH. This project is made possible primarily through the efforts of our participants and their families.